The World According to Michael: Sliding! You had great fun today I'm sure you are hoping that school will be closed on Monday too - lots more fun!!! 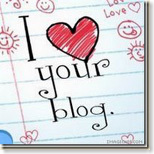 If you look at my blog Michael I have given you an award! !